The American Society for Aesthetic Plastic Surgery reports that 84,685 people over the age of 65 had one or more cosmetic procedures in 2010. In fact, this age group has been the fastest-growing demographic of cosmetic surgery patients for several years now. Numerous things have played a factor in this trend, which doesn’t show any sign of slowing down anytime soon. So why is the older generation turning towards Plastic Surgery? One of the reasons why more seniors are now seeking plastic surgery is that they are leading active lifestyles. Seniors often find themselves starting new careers or even dating in their 60s, 70s, and beyond. As such, they want to look their best in order to remain competitive. Even retired seniors who are physically active are deciding that their appearance doesn’t reflect how they feel. These individuals are choosing procedures such as liposuction and tummy tucks to provide them with a fitter, more toned, appearance, since this is not always possible with diet and exercise alone. Advances in cosmetic surgery means that it is now possible to improve one’s appearance without undergoing extensive procedures. Even invasive surgeries such as facelifts and brow lifts use new, improved techniques that make them safer and require less downtime. Safety is always a concern whenever a senior citizen has surgery, as underlying health conditions and certain medications often prohibit people from undergoing elective procedures. The risk of complications from plastic surgery is lower than it has ever been, meaning more older adults are now able to consider it. Modern procedures also provide more natural looking results. 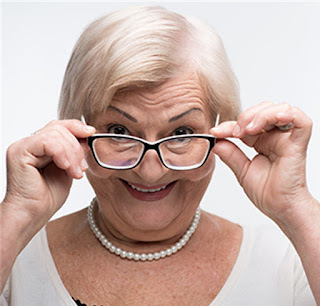 This is important because most seniors do not wish to appear “done.” Instead, they wish to look like a younger, more vibrant version of themselves. A number of procedures such as Botox® injections or IPL photo facials provide the type of subtle results most seniors are looking for. These procedures help take years off of an individual’s appearance gradually, so results are less startling and dramatic. As a result, those who shied away from plastic surgery because they didn’t want to appear artificial are now rethinking it. More senior citizens than ever are considering cosmetic procedures to help them turn back the clock. As procedures continue to become safer and people become even more accepting, odds are that more and more adults over the age of 65 will choose some form of cosmetic treatment in the years to come.